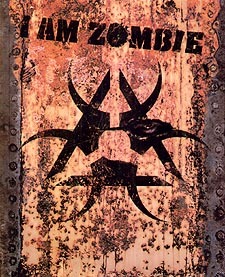 I Am Zombie will shock, disturb, and provoke. It places in perspective both modern world events and where we find ourselves today: at the brink of disaster and the end of history - what some call the countdown to the final outbreak. This book is not written for firebrands and revolutionaries. They don't need an education; they already know it all. This book is not written for breathers, either. You don't believe in us! This book is written for all the Clueless Toetags out there who are struggling - just as we did once - to survive that desperate first year of half-life. Briefing materials on strains, cartels & rackets, plus the secret history of the plagueborn.